Deep melancholy and ancient longing permeates the heart and soul of Ukrainian music. 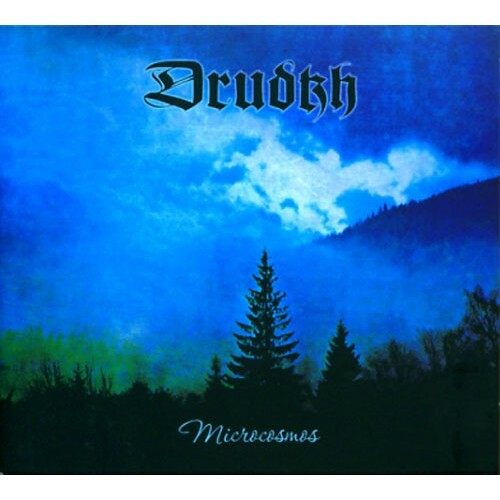 DRUDKH capture that precious essence of sadness in their brand of Slavonic Heathen Metal. The cinematic, folk-influenced music of "Microcosmos" focuses on luxuriant atmospheres charged with strong emotions. Lyrically DRUDKH delve into nature mysticism, the passing of seasons, philosophy, Ukrainian mythology, legends and history – often inspired by the works of nineteenth and twentieth century Ukrainian poets. Due to irritations regarding their motivations, DRUDKH decided to issue one public statement only, but again not to give interviews nor make use of any internet platform: "During all its history, the band followed a 'no photos, no interviews, no website, no gigs' policy, which was nobly accepted by DRUDKH's new label Season of Mist. The absence of any comments or information from DRUDKH's side gave an opening to a few ignorant internet warrior-fans to spread rumors, that the band embraces extreme political views. This is absolutely misleading and a total profanation, since there is nothing in DRUDKH's music or lyrics that would suggest any political outlook. DRUDKH praise individualism, self-improvement and estrangement from modern values." "Microcosmos" is the magical seventh album since their acclaimed debut "Forgotten Legends" (2003). Enter this dark universe!